March already and it feels like winter is nearing to a close in Jackson. I’m already forgoing sleeves as I leave the house, settling for warm vests and leaving my Burton coat inside. Apparently bears are already coming out of their dens too. Last night I went on one of the most intense moonlit sledding adventures ever. We drove up somewhere around mid-mountain Teewinot (at Jackson Hole Mountain Resort), hiked up a bit further and then buzzed straight down the mountain at what felt like 60 miles an hour. Our runs were so long they lasted at least a minute or two… Unfortunately I jammed my foot at the bottom of the last run, and I’m sore as hell. But thus is the risk. So here we go. Round four of Triple Shot. 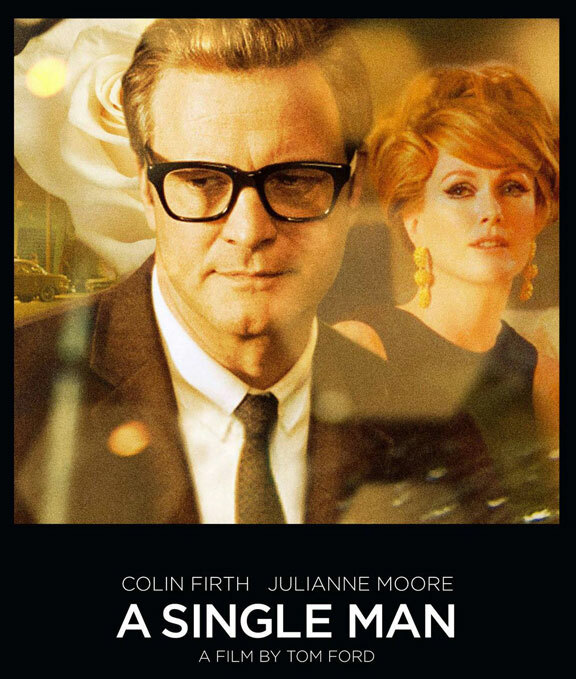 Rarely do I see a movie that effects me as much as “A Single Man” did. Directed by fashion designer Tom Ford, it’s the story of a gay man, George Falconer (Colin Firth), who loses his long-term partner in a car accident. Like one of my favorite films “The Hours”, it takes place over the course of a single day in the character’s life. To put it simply, the film is gorgeous. Beautiful color schemes and a sweeping soundtrack; amazing acting by Firth, Julianne Moore, and company; and a story that sticks with you days after viewing. Yes, it’s a heavy subject, but there’s a fair chunk of humor (especially from Moore) and the somber ending is still intensely fulfilling. I don’t know what else to say! Just go see it, or rent it when it comes out on DVD. It’s the best movie I’ve seen all year. Every so often I come across a singer who I enjoy album after album, and while Greg Laswell’s “Through Toledo” is my least favorite of his stuff, his newest album “Take a Bow” is freaking great. I don’t want to list biographical information about him because I don’t know crap, and I can’t be arsed to look it up on Wikipedia. But if you find out something interesting, let me know. What I do know is that Greg plays piano and guitar and sings awesomely. He has kind of a gruff, smokey voice, but nothing as cringe-worthy as Tom Waits or Seasick Steve. It’s smooth. Mellow. Perfect for the kind of alternative folk rock that he plays. Below is a song called “Off I Go” from the new album. If you enjoy it, I suggest you check out more of his music. I never thought I’d put a food product on here, but I’m 100% endorsing this stuff anyway. I was walking down the grocery store aisle, like you do, looking for something to eat. People tell me I shouldn’t go to the store hungry, but I do anyway. It’s the only way to shop. Anyway, ran into these things around the applesauce and holy hell are they good. I bought them (both flavors), stuck them in the freezer, and then chowed down. They’re like those Pop-Ice Popsicles but filled with sorbet rather than sugary water. I prefer strawberry to grape (doesn’t everyone? ), but I’d say try both. Seeing how it’s still winter, sorbet isn’t really what I should be recommending, but, like I said, it’s nearing springtime in Jackson. So screw it and eat one.